With this product, you earn 87 loyalty points. The Ideal Man is a myth. But thanks to Guerlain, his fragrance is a reality with L'Homme Ideal Intense. 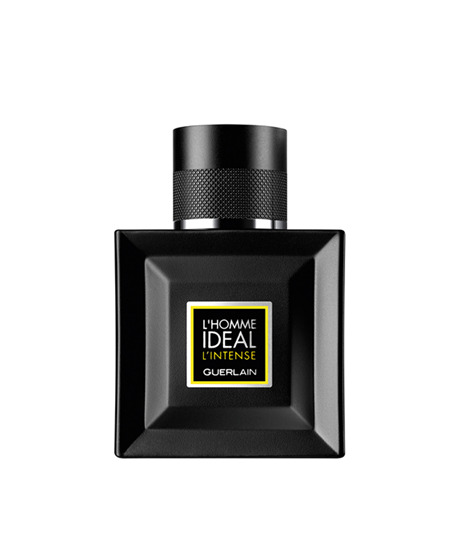 The ideal Eau de Parfum Intense? Fiery spices, bewitching tonka bean and smoky notes for an utterly intriguing trail. A vigorous, elegant, woody-spicy-oriental fragrance. The ideal bottle? Masculine, luxurious and distinguished. A square, faceted bottle fully coated in black lacquer. The label borrows its dynamic energy from yellow. A heavy, decidedly masculine cap that is also matt and borrows its guilloche detailing from the world of watchmaking.